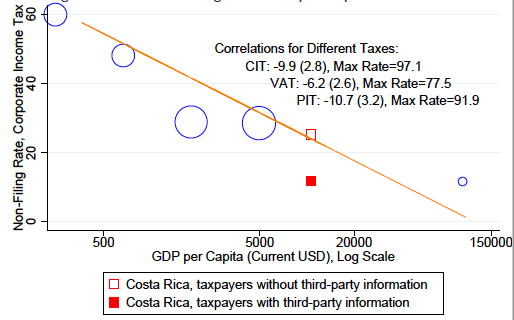 Brockmeyer, A and M Hernandez (2018), “Taxation, information and withholding: Evidence from Costa Rica ”, World Bank. Bruhn, M and D McKenzie (2014), “Entry regulation and the formalisation of microenterprises in developing countries ”, The World Bank Research Observer, 29(2): 186-201. De Andrade, G, M Bruhn, D McKenzie (2016), “A helping hand or the long arm of the law? Experimental evidence on what governments can do to formalise firms ”, The World Bank Economic Review, 30(1): 24-54. 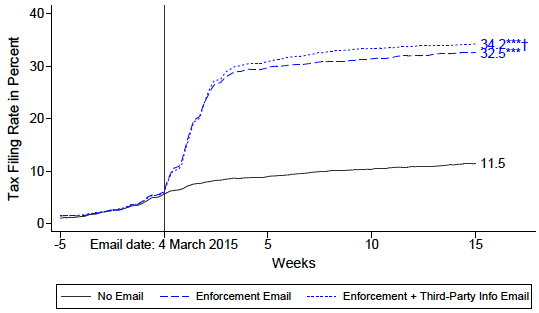 Kleven, H, M Knudsen, C Kreiner, S Pedersen and E Saez (2011), “Unwilling or unable to cheat? Evidence from a tax audit experiment in Denmark ”, Econometrica, 79(3): 651-692. Perez-Truglia, R and U Troiano (2018), “Shaming tax delinquents ”, SSRN. Pomeranz, D (2015), “No taxation without information: Deterrence and self-enforcement in the value added tax ”, American Economic Review, 105(8): 2539-2569. Slemrod, J, M Blumenthal, C Christian (2001), “Taxpayer response to an increased probability of audit: Evidence from a controlled experiment in Minnesota ”, Journal of Public Economics, 79(3): 455-483. Tourek, G (2018), “Targeting in tax behaviour: Evidence from Rwandan firms ”, Harvard University.